Nobody wants to have their beloved bike stolen, but now at least there’s a way for fellow cyclists to help one another out. @StolenRide is a London-based community of over five thousand cyclists, bike shops and others in which members help one another to locate stolen bike via Twitter. According to @StolenRide, information compiled by Litelok® suggest that the true figures for bikes stolen per year in London are higher than the roughly twenty thousand reported to the police, perhaps closer to seventy thousand. Next, others in the @StolenRide Twitter community help out by both keeping an eye out for these bikes themselves and retweeting the posts so that others in their network can also help out. If someone happens to spot a stolen bike anywhere, they tweet the owner. They may also involve the police. According to Cantle, although the police do not always take the cases seriously, the service works. 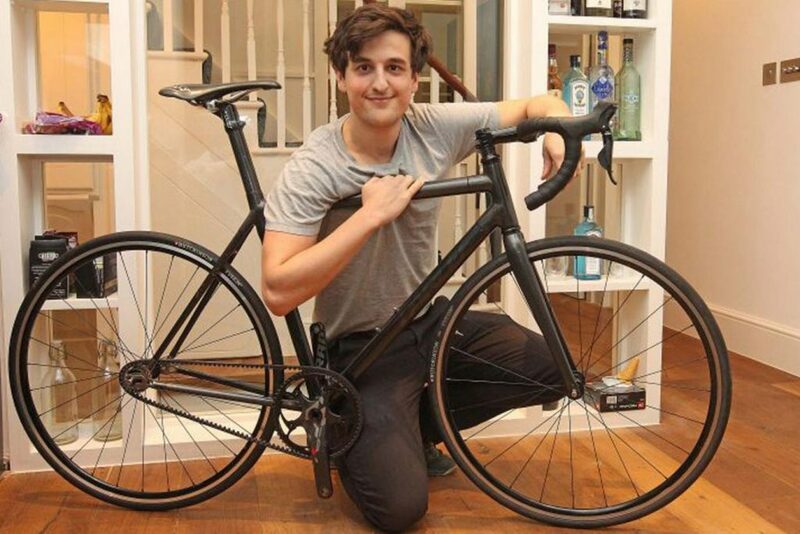 For example, James Vernon had his £4,000 bike stolen in Islington, and it was then spotted on a Spanish website by someone in Spain. Below is a photo showing the original tweets. 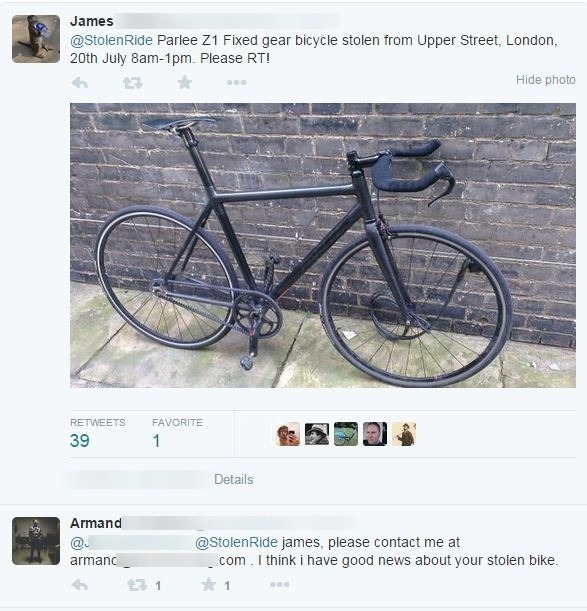 Apparently, Armand also spotted another bike that was retweeted by @StolenRide, a £2,000 road bike. He then worked with the police to get the bike back to its owner. Another bike was reportedly located in Moldova via @StolenRide. That being said, @StolenRide has no plans to cover outside London. It does, however, plan on expanding their services within London and move into the prevention of bike theft later this year. So, if you know any cyclists in London, let them know about the @StolenRide community. For those without Twitter, it is also possible to use the community’s Facebook page (www.facebook.com/StolenRide) or view tweets on their website (www.stolenride.co.uk). 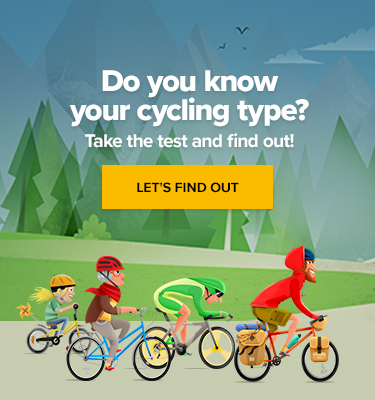 Failing to Understand the Tour de France Lingo? Become an Expert with Our Guide!